Fantastic acreage with lots of potential uses! 21 Acres / 3 BR / 2 BA / Open floor plan / 1 outbuilding / Excellent hunting land! Clean and lightly used home, with electricity already hooked up! A short distance west from the Viking Bar! « NEW LISTING! 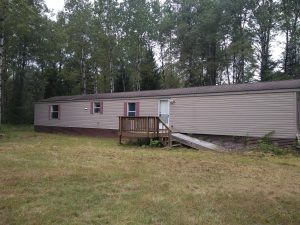 Log cabin / 2.5 Acres / 350 feet of lakeshore on the edge of Hibbing!